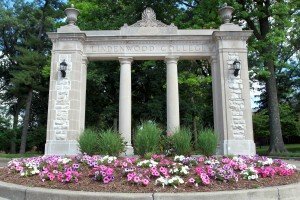 The Lindenwood University Master of Arts in Education with an emphasis in Early Interventions in Autism and Sensory Impairments program provides early childhood professionals like you with training to partner with parents of young children who have learning needs in the area of autism and/or sensory impairment. The need for specialized teacher training in early interventions is evidenced through the increasing prevalence of children born prematurely with low birth weights with co-occurrence of one or more developmental disabilities. Potential candidates for this program include teachers, paraprofessionals, parents, speech and language therapists, and related services professionals, certified PreK-12 teachers, certified VI teachers who want to learn more about autism and sensory impairments, sign language professionals with a BA degree, and early childhood professionals who may not hold Missouri Department of Elementary and Secondary Education teacher certification but hold a BA degree in early childhood or special education. The program does not offer teacher certification from the Missouri Department of Elementary and Secondary Education. The need for specialized teacher training in early interventions is evidenced through the increasing prevalence of children born prematurely with low birth weights with co-occurrence of one or more developmental disabilities. Our program includes observations with Early Intervention practitioners in the field through home-visits. 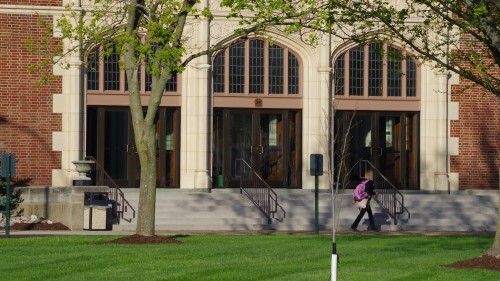 To complete this degree, you must complete the Master of Arts in Education core (12 credit hours) and 21 hours of early interventions coursework. During your second year, you will choose an emphasis in one of three areas by completing the coursework required for one of the following three strands: autism, vision impairment, or deaf/hearing impairment. Courses must be taken in sequence in order shown. For questions, please contact Dr. Rebecca Panagos at (636) 949-4959. The purpose of the Early Intervention in Autism and Sensory Impairments is to prepare Early Intervention Specialists to partner with parents of young children with learning needs in the area of autism, vision impairments, and deaf/hard of hearing impairment.